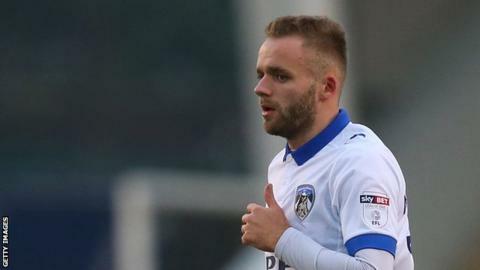 Blackpool have signed Oldham Athletic defender Ryan McLaughlin on a two-year contract and former Arsenal left-back Marc Bola on a one-year deal. The Tangerines confirmed compensation has been agreed with the Latics for the transfer of 23-year-old McLaughlin. "It's been on the cards for a while and I'm delighted to finally get it all done," he said. Bola, 20, spent time on loan with Bristol Rovers in 2017-18 before he was released by the Gunners last season. "I've had great years at Arsenal and I'm looking forward to building a new chapter now," he said. "I kind of got used to the league when I was at Bristol Rovers on loan and I now just want to play more games."